HDIS: How can I save money on my incontinence products? HDIS offers multiple ways to save money! You can set up a delivery schedule according to your needs, and you can change your schedule, cancel a delivery, or add or delete products from your order at any time to suit your needs. You may also cancel your plan at any time without penalty. Your delivery schedule is whatever works for you. For example, you might choose to receive a delivery every 2 weeks, every 45 days, or every 2 months. Once you sign up, we'll automatically ship your products to you at the appropriate time. If you create a web account, you will be able to modify your PDP order online and you will be able to check your next scheduled delivery date. With our Personalized Delivery Plan, you won't have to remember to reorder. Plus, you'll also get a special 5% off our regular, low, "buy-by-the-case" prices. *The 5% discount is not available on all products, or on all package sizes. Getting started is fast and easy! 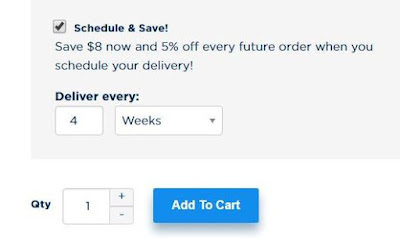 You can set up a delivery schedule when you add any eligible product to your shopping cart. Simply check the box next to "Schedule & Save" and choose your delivery schedule. You can modify your schedule at any time by signing in to your website account or by calling one of our friendly and knowledgeable Customer Care Representatives at 1-800-269-4663. There is no obligation and you can cancel anytime. Another way to save money is to buy by the case. 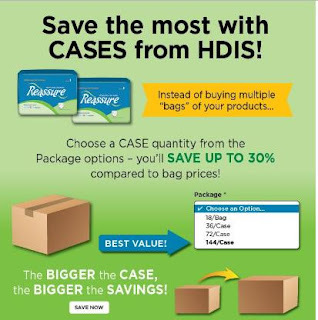 Instead of buying multiple bags of your products, choose a case quantity and save up to 30% compared to bag prices. A final way to save money is to sign up for our email promotions. Each week, we send out offers to help you save money on your favorite brands! Shop online at HDIS.com! Or, give us a call: 1-800-269-4663. Our customer care team is available to help you Monday-Thursday from 8:30am-7pm, Friday from 8:30am-5pm and on Saturday from 8:30am-2pm. Enjoy free shipping on any order, large or small!